Worship Central follows their critically acclaimed project "Let It Be Known" with the release of the new live recording "Set Apart." Worship Leader magazine hailed "Let It Be Known" as its No. 1 Editor's Pick for worship albums in 2013 and called the project a "a must have for worship leaders." 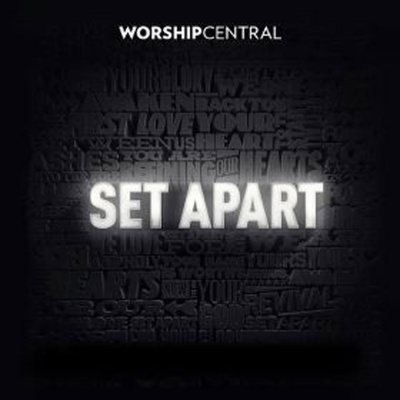 In "Set Apart," Worship Central brings a new set of songs written in and for the Church. Based in London, Worship Central is a worship training school founded by Holy Trinity Brompton the church that developed the global evangelistic phenomenon known as the "Alpha Course." The Worship Central team includes: Tim Hughes (Happy Day, Here I Am To Worship), Ben Cantelon (Savior Of The World, Love Came Down) Luke Hellebronth (Spirit Break Out) and Nikki Fletcher (All Glory, Dry Bones). Worship Central focuses on equipping and empowering local church worship leaders by offering free training courses and networking local leaders around the globe. Their church, Holy Trinity Brompton is a vibrant Anglican congregation focused on the re-evangelization of the nations and the transformation of society through a saving knowledge of Jesus Christ.